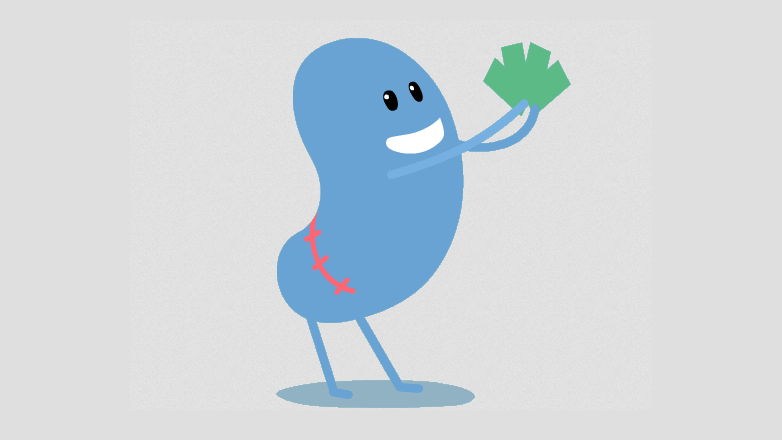 One of the lovably misguided characters from "Dumb Ways to Die" sold both his kidneys on the Internet. Now, the client behind the beloved campaign has made a similarly greedy deal with the devil. Through a licensing deal, Metro Trains has sold the creative product pretty much wholesale to Empire Life Insurance Co., which is cutting its own ads from it. Three 30-second spots posted online play snippets from the original musical cartoon, before a female voice pipes in and says: "What's the dumbest way of all to die? Having no life insurance." Empire has also done some digital ads with the characters and plans "a robust merchandise program … for multiple territories worldwide," according to the Globe and Mail. Talk about dumb. As the Ethical Adman points out, it just seems lazy and greedy—plus, the viral potential of the work has already been tapped worldwide, so what's the point? On the eve of the 2014 Cannes Lions festival, it's also a depressing slap in the face to the ad business to see the most decorated campaign in Cannes history bastardized like this—a PSA cynically turned into a for-profit campaign. You can understand Metro Trains wanting to make a buck off the work. But stick to making plush toys, not selling the whole cartoon to some huckster. McCann, whose Melbourne office created "Dumb Ways to Die," declined to comment on the Empire ads and referred inquiries to Metro Trains. We left messages with Metro and will update when we hear back.